When I was first thinking about making a book blog, I came up with the name BookNook. I really liked it! It was short, sweet, and I could buy the booknook.me domain name. But one mistake I made was not checking to see if other people came up with this exact same name. It’s perfectly reasonable for two (or more) different people to come up with the same name without copying or plagiarizing each other. That’s why you need to check! As it turns out, there are about a million and one other BookNooks out there. The more people there are with your name, the harder it will be to establish your brand in the blogging community. Because names are brands; they define you as a blogger. When someone sees “BookNook” on Twitter, they probably don’t immediately think of booknook.me, because there are so many blogs it COULD be. So the key thing here is to check to see if other people have the name you want to use. Google it and see what results come up. You want to pick something unique and original that only you have. When people say the name on Twitter or Facebook, you want people to IMMEDIATELY think of your blog. As a blogger, you should at least have a Twitter and Facebook account to help advertise your posts and drive traffic to your blog. But in order to create an established brand, you need to use it everywhere! You should incorporate your blog design into your Twitter and Facebook logos and cover photos. 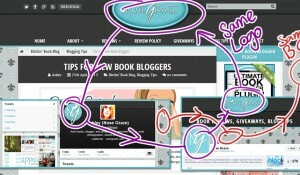 That way people will instantly look at the graphic and know that it’s your blog! This is very similar to the previous point. When you sign up on NetGalley, don’t think, “Free books!” and let logic fly out the window. Especially as a new blogger, your “Requested to Reviewed” ratio is very important. Publishers can see your statistics of how many books you’ve requested vs. how many of those you’ve actually reviewed. I think it’s extremely important to prove to publishers that you review the books you actually request. Maybe they’d be more likely to take a chance on you if there’s a better chance you’ll review the book. So do yourself and the publishers a favour by only requesting books that you are REALLY interested in reading and reviewing. I know that not everyone can have a unique feature for their blog. But if you can think of one that works for you, do it! Do not hesitate, just go for it! I think that starting my Bitchin’ Book Blog feature was the best move I ever made. It allows me to join my greatest passions into one. 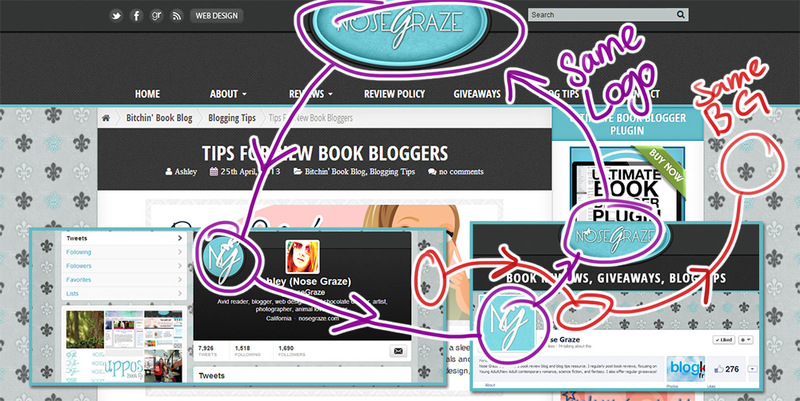 I can blog about some non-book topics (like WordPress and web design) but still help book bloggers at the same time! I also think that my BBB posts give me an edge. No other book bloggers that I have come across write about WordPress coding. It gives people more of a reason to follow my blog! Unless you’re a designer yourself, hiring a designer is the best thing to do. But at the very least, you should spend a lot of time personalizing your blog. Part of making your brand is making something on your blog YOURS. You should have a logo, graphic, or even typeface that defines your blog. It should be something that people will see and immediately identify as being YOU. But make sure you spend plenty of time on your design so that it looks good and stands out from all the other blogs out there. Using a pre-made theme is perfectly fine, but make sure you do something to customize it. Upload your own header or background. You don’t want to look exactly like another blog; you want yours to be unique! I would suggest limiting your memes to 2-3 per week (ideally 2 so that it doesn’t feel like half your posts are memes). Remember that if you’re a book blogger, your blog is about reviewing books. Yes we can showcase books and have giveaways, but if you just have 7 memes a week then people will get tired of your blog. It will feel like you’re not coming up with enough original content. Most book bloggers create their blog because they love books. Make sure it stays that way! Don’t worry about having perfect reviews or posting “the right” way. Make your blog 100% your own. Let rules fly out the window! (Except for obvious ones like “no plagiarism” and “be respectful”.) Turn your blog into your own personal space that you love coming back to every day. If you do start to feel overwhelmed, then take a break! Let your readers know what’s going on, and then pull back for a couple weeks. For some people this might mean reading less intensely and more for fun, and not worrying about review books or deadlines or blog tours or commenting. For others it might mean a break from reading all together. Blogging shouldn’t feel like a job or a chore. You can make it into whatever you want and completely mold it in such a way that it makes you happy! For memes, I seem to be capable of posting only 1 as my Teaser Tuesday’s havent made a show since last month or something, I guess it’s just a filler post. I created a meme for my blog only, ‘Midnight Madness’ on Sundays as a substitute for The Sunday Post/Stacking the Shelves with my own additions. Yep me too! I think we’re all bound to make mistakes as new bloggers, and the important thing is just that we recognize them and make changes accordingly! Ugh, so true. I entered way too many giveaways in the beginning. Same with netgalley. Requested too many books I never read. I know better now. But I wish I knew this stuff before I started. I’m still working on some of them, like my own personal brand. Next month I’ll have a shiny new lay-out! And the memes, I do two every week. Sometimes one extra. The ones I do every week are Feature & Follow Friday and Stacking The Shelves. Sounds like a good meme lineup! I do something similar with regular Stacking the Shelves, regular WoW, and occasional Top Ten Tuesday. Yeah. 🙂 It’s not to much and they are pretty fun. these are great tips. I can’t believe you’ve only been blogging a year, you’ve got such a great content-rich blog. Whether it’s a review, discussion or always helpful blog tip, you have something for everyone! I would like to figure out a feature to do on my blog. It will probably have to be about one of the other topics I write about, rather than books. Playing with the plugin I purchased, enjoying it but have to figure out a few kinks. Thank you Tanya!! I think it’s great to do a non-book feature. And it might help prevent you from getting too overwhelmed with just books all the time. It will give you an additional connection to your blog! you know what else I would love to know? How the FTC rules changes how we review books from NetGalley or provided by author/publisher in the US. I’m confused about what the rules are and how we need to promote/setup posts especially if there’s an affiliate link. I’m actually in the process of doing research on this so I can write a post! I’m going to have two lawyers look over the guidelines and get back to me with their thoughts. Thanks, Ashley! I hadn’t thought about a branding logo on my Twitter page. My blog isn’t specifically for book reviewers, but I would like to incorporate some reviews into my posts. In regards to book giveaways, sometimes I’m just commenting on the blog post itself and find out I won a book – oops! I’m glad the name Bitchin’ Book Blog worked out for for (love it!). I think I went to a store called BookNook when I was a child, hearing it arouses instant nostalgia that I can’t quite place. Haha luckily what you said hasn’t happened to me yet! At least if that happens you can decline the book and tell them you didn’t really mean to enter, then they can pass it off to someone else. Aww how cool that you went to a store called BookNook! I’ve never seen one before! Trish Hannon recently posted: I'm a magician! I love this post! What is funny is that when I first started blogging I almost did every single thing you have listed up there!!! I did all the memes! I entered all giveaways! I didn’t chose the right name! I still don’t know much about design.. but I am learning about it all the time!! Great post and hope new bloggers find it sooner then later!! These are some fantastic tips Ashley! I honestly wish I had seen this before I started blogging haha because I do regret some of them but yet I am grateful that I did follow some of these particularly the branding, I feel that’s very important especially if you want people to remember you. If you don’t have something unique and that defines your blog, it will be hard to stand out. Very helpful post! Thank you so much! Boy a lot of what you said really resonated with me. Especially the thing about not entering too many giveaways and requesting too many titles on NetGalley. I must have entered a giveaway that I don’t remember because I ended up getting a book about a demon (so not my thing) and I couldn’t even finish it. But since it’s a signed copy I’m sure as heck not going to give it away. Thanks for all the tips. I just started my blog about a month ago and am still getting a feel for blogging. I will definitely be putting your tips to use. One of the best posts about new bloggers I’ve ever read. It’s laid out great, straight to the point. Definitely one for people to look at. Inspired by you, a month or so ago I started a feature about blogging and marketing/social media. Subscribers, traffic…everything has skyrocketed! Starting a feature combined with hosting a blogging challenge has probably been the best move I’ve made for my blog in the six months I’ve had it! This is so awesome, thank you! You’ve been really helpful with getting the ball rolling for Booky Berries, especially with all the support you’ve given us with the layouts, plugins, hosting, etc. Okay this is so much helpful to me! As a young blogger things can a get bit intimidating. Like looking at other bloggers and seeing that they have millions of followers whereas you have one. Really like your post and it helped me a lot. 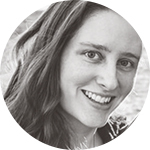 I am so glad that I found your blog, there’s soooo much resources for bloggers. I’ve been blogging for years, but never really sat down and really focused on it. And it’s definitely one of my goals for the year. I’ll just be soaking in everything you’ll have to say about the blogging world! I am guilty of crazy requesting ARCs in NetGalley! Hahaha! At some point, I got Declined and it was the saddest thing ever in my NetGalley experience. (I even did a research on it as to why users are being declined) I realized that I have to do my reviews more (at that time, I have 3 reviews out of 11 requests) Hahahaha! And also, I had to personalize my “About Me” since I want to let them know I’m serious in requesting books, reading it and doing book reviews. Thank you for this! I do love book reviews, though. I’m always wondering what people think of books that I’ve read, want to read, and haven’t heard of. I’m also trying to figure out what else I can blog about besides books.